The diabetes community asks for and gets a lot of support. We walk to get support. Ask our friends to watch videos again and again to get support and we put our fool names and faces on the CURE for support. 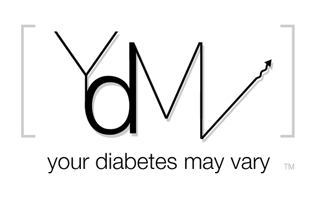 It nice to join with the diabetes online community to help one of our own do some offering and giving. I’m here to help a friend give away his book. He wrote it to help people new to diabetes cope. Not explain it all, just cope. Coping is a brilliant first step. He set out to sell the book but being one of the better angels on this planet he wants it to help more people than just those who have a few bucks to buy it. So he made an electronic copy and put it on line. 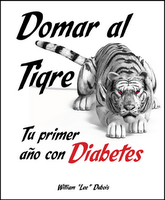 The book is called Taming the Tiger or Domar al Tigre if you prefer your tiger taming in spanish. You can get either or both here, free. My friend’s name is William, Will, Liam, Lee or all of the above. He is an author. I consider him an expert. I think if the rest of the world knew him, they would too. Just this week Lee became an expert contributor to Dr. Oz’s new health Q&A website Sharecare.com. Check him out there. Of the answers I have seen there, in my expert opinion, his are the best. Free book and free expert advice. Lee, like all Super Heroes, only uses his powers for good and works cheap.